Currently, email from K-State LISTSERV mailing lists bypass Spam check procedures. Beginning Monday, Oct. 2, LISTSERV emails will go through the same Spam check in Office 365 along with the rest of our university emails. Information Technology Services (ITS) will only bypass emails from the spam checks if a reasonable case can be made for the need. The goal is to reduce K‑State’s exposure to spam and allow the spam protections in Office 365 to do their job. look for messages from your LISTSERV lists in your Junk Email folder. If you find any, fill out this form to request a global settings change that will move those emails from your Junk Email folder into your Inbox folder instead. Requests will be considered on a case-by-case basis for approval. If you have questions, contact Greg Dressman, director of Enterprise Server Technologies, dressman@ksu.edu. To help ensure proper delivery of emails to your K-State Inbox, Information Technology Services (ITS) maintains an Approved or Safe Sender whitelist. A whitelist is a list of email addresses, domains, and IP addresses which will not be blocked by K-State’s spam filters. Whitelisting introduces additional cybersecurity risks. 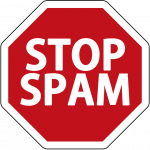 Spammers take advantage of whitelisting which makes our K-State inboxes more susceptible to spam, phishing scams, and viruses. Spammers create spoofed emails from whitelisted email addresses, domains, and IP addresses, which will make their way to your Inbox. When you click on the spoofed emails and links, you will unknowingly expose the K-State network to viruses and harm. Previously, email from K-State LISTSERV lists were whitelisted. Now, LISTSERV emails will go through the Spam check in Office 365, and will not be whitelisted. ITS will only whitelist emails that have a business need. The goal is to reduce K-State’s exposure to spam and allow the spam protections in Office 365 to do their job. The whitelisting change will go into effect Oct. 2. After this date, periodically check your Junk Email folder to make sure you are not losing important, safe emails. If you are losing important emails, fill out this form to request a global settings change that will move those emails into your Inbox instead. Requests will be considered on a case-by-case basis for approval. The Higher Education Opportunity Act of 2008 is designed to ensure that students have access to affordable textbooks and supplemental materials. According to the act, universities must make information about required textbook and supplemental materials available to students on their online course schedules by July 1. To meet the requirement, K-State bookstores (K-State Student Union and Varney’s, Manhattan campus), Follett’s (Salina campus), and KVESS (College of Veterinary Medicine) are working with K-State to collect textbook and supplemental information and post it online. If there is no textbook for a course, this information must be provided to the bookstore. If a faculty member does not yet know textbook information, the default statement “to be determined” will be listed, and the textbook information submitted as soon as the decision is made. Faculty members who typically have worked through Claflin Books and Copies in Manhattan may continue to do so, but also need to complete the request for textbooks from the K-State Student Union Bookstore so the textbook information can be made available to students.